What is a Turkey Bowl? Why Play Football on Thanksgiving? Bonus: If you’re a true baller and you’re looking for more than a little backyard fun, one thing to look out for is a Turkey Bowl tournament in your area. It’s not uncommon for local adult flag football leagues near you to host a Thanksgiving tourney for some kind of prize or donation to charity. A Turkey Bowl is a game of flag football or touch football that’s played every year on, or around, Thanksgiving morning. It’s often a tradition between family and friends. 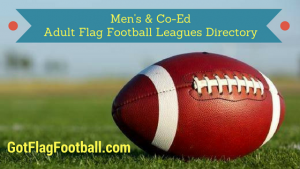 Usually, it’s not a super competitive game, however, local flag football adult and youth leagues commonly host tournaments during the week of Thanksgiving. Football on Thanksgiving goes together like turkey and gravy. At some point on Thanksgiving Day, the average American will sit down with a bloated belly and watch at least a few minutes of NFL football. For the avid fan, it’s an all day serving of football. And for many of us, it’s not just about watching the game on TV, it’s about reuniting with friends and family for an annual game of flag football or touch football before all the gluttony begins. If starting a Turkey Bowl flag football game is something you’ve had in mind, this is your guide to making 2019 the first of annual tradition. 1.) Get the word out: whether it’s a laid back recreational game of 4 on 4 in the backyard with your close family, let them know that this year (and hopefully in years to come) you’re planning on getting this going. Let everyone know to stretch out and be ready to take to the field bright and early! Obviously, the more competitive game, the wider the reach necessary and you’ll want to mention it to the guys you play pickup with or to the athletes in your family who want to get out there and reconnect to their glory days. 2.) 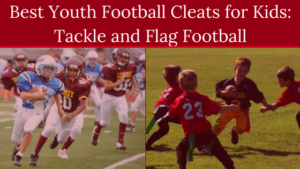 Grab some gear: the beauty of flag football or touch football is that the equipment you need for a recreational game is minimal. The requirements includes: a football, flag belts and cones. Optional gear would be: cleats, gloves and a mouthguard. If you want it all in one, your best bet is to pick up the best flag football kit you can find for adults or kids. This should have all the pieces you need for a 4v4 or greater game. 3.) Set up the field: if you’re really serious, you can grab some paint and lineup your backyard. For the majority of us out there who just want to put down a few cones to mark the sidelines and end zones, well that’s really all you need to do. If you bought a kit, this should come with cones. Start by setting up a specific field dimension that makes sense for your game size. 70 yards long x 30 yards wide with 10 yard end zones is adequate for most games of 7 on 7 and less space is obviously needed for few players. 4.) Establish some rules: let’s face it, you probably won’t hire a ref to officiate your Turkey Bowl flag football game. Most likely, this is a pick up style, self-officiated game. This means the rules probably won’t be heavily enforced, but some structure is important. 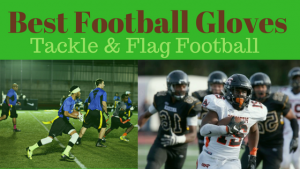 The most common rules for flag football are: no tackling, flag guarding, etc. These will serve as a good start point. Beyond that, having an end point in mind is imperative. It could mean the game ends after an hour or two, at most. Or maybe playing until one team reaches a set points total, such as “first to 4 TDs” makes more sense. 5.) Enjoy bragging rights until next Thanksgiving: are you playing this game for a championship ring? Probably not. It would be pretty sweet if you can build this Turkey Bowl flag football game into an annual tradition where the winner gets something memorable, like a tee shirt. But the benefit of winning for most friendly Turkey Bowl games simply means your team earns bragging rights and the free reign to some friendly banter until next Thanksgiving. Did your uncle catch the game winning TD? He’ll probably be talking about it all day at the table. But that’s half the fun of Turkey Bowl football. If you’ve already been hosting or playing in a “Turkey Bowl” for years on Thanksgiving morning, than you don’t need anyone to inform you of how awesome it is to create a tradition like this. You may not see the guys you play with but once a year, and it’s fun to recollect the previous year’s matchups. If you’re an adult player, and a dad or mom, it’s a great opportunity to play with your kid. If you’re an uncle or older relative, it’s also a cool experience to be able to bring along your little nephew or cousin and give them a shot at playing with the adults. No matter what your age or experience level, the annual Turkey Bowl is well worth getting organized for and there’s no better time to get one going for your friends and family than Thanksgiving 2019.